Dedicated to serve both investors and fund companies, fundeye.com aims at becoming the preferred publication platform for market professionals. rigorously fulfil your legal obligations in order to comply with the Swiss law. Our Business Model is designed to assure you with high-quality standards, by collecting data directly from source, and to maintain your publication costs at the lowest possible level. 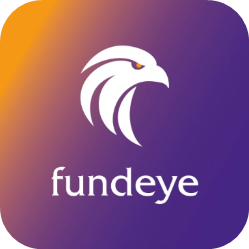 fundeye.com is recognized in Switzerland by the Swiss Financial Market Supervisory Authority FINMA and in the EU by the Belgium Financial Services and Markets Authority FSMA since 2017. fundeye.com is a registered trade mark managed by fund-services.com Limited. Founded in 2016, fund-services.com Limited is a Swiss technology company owned by Carnegie Fund Services Limited, a leader in fund representation and distribution of investment funds.